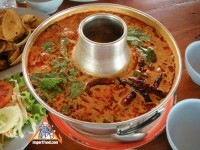 Traditional method of serving all kinds of Thai soups, in particular Tom Yum and Tom Kha. 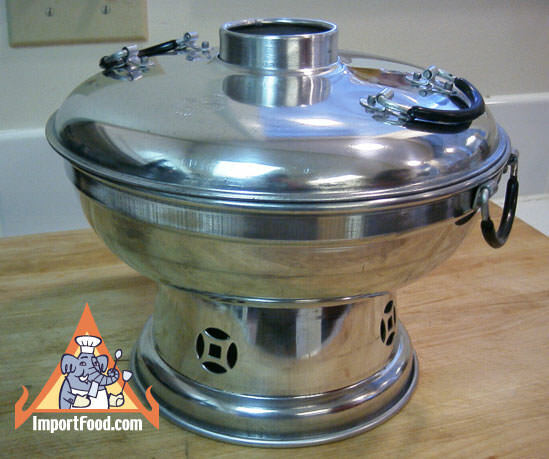 Many Thai restaurants use this pot with a bit of sterno fuel in the bottom tray, as shown below, or use a small tea lite candle at the base to keep the soup hot. 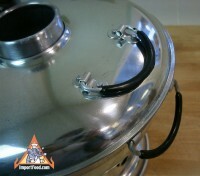 Campers have reported that this is a great little pot because it allows easy heating of food at the campground. 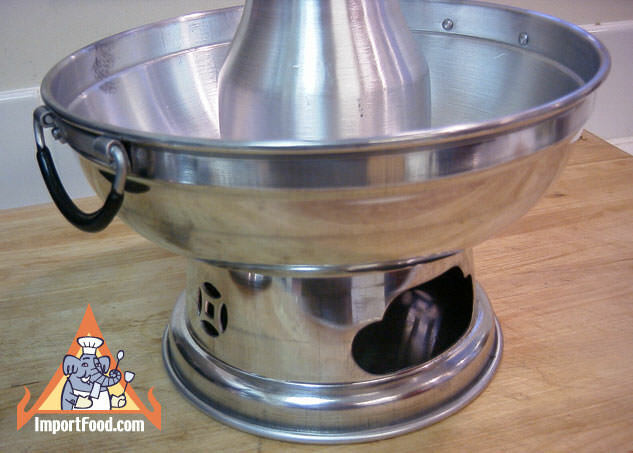 It's like a little stove. This is a good size, 24 cm in diameter (10 inches), capacity of 8 cups. Good for restaurant or home use. Made of relatively thick, sturdy, buffed, shiny aluminum. We're certain you'll love serving soup in this hot pot. 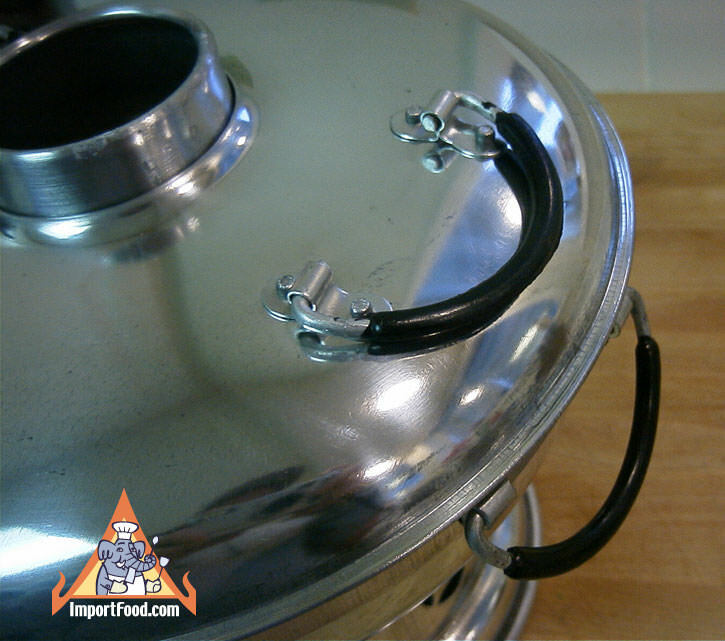 The lid has two handles and the side of the pot has handles for ease of use. Made in Thailand. This is a local recipe from Rayong, on Thailand's eastern seaboard. Namsai means clear soup, and this is unusual because it's tom kha without the coconut milk. The key ingredient is the dipping sauce. 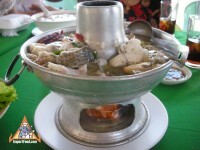 Locals in Rayong dip seafood and other meat into this sauce, and the sauce is even poured directly over jasmine rice and eaten. The sauce is a little bit like our seafood dipping sauce. We love the flavor of this soup. Prepare it with the best chicken you can find. We used organic free-range chicken breast, and the result was unforgettable.